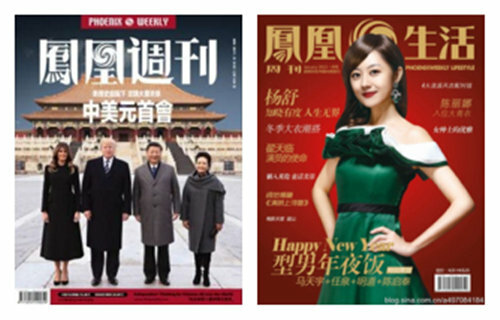 Phoenix Weekly is sponsored by Phoenix TV and specially permitted by The Information Office of the State Council of China and General Administration of Press and Publication of China. It focuses on cuttent politics; finance and economics; culture; and is released and sold in mainland China. Phoenix weekly is issued 3 times per month and 36 times a year. It is published on the 5th; 15th and 25th of every month. Phoenix weekly was established in 2000. It features major political and financial events, current affairs, social issues, culture, individual profiles, entertainment, lifestyle and fashion trends.